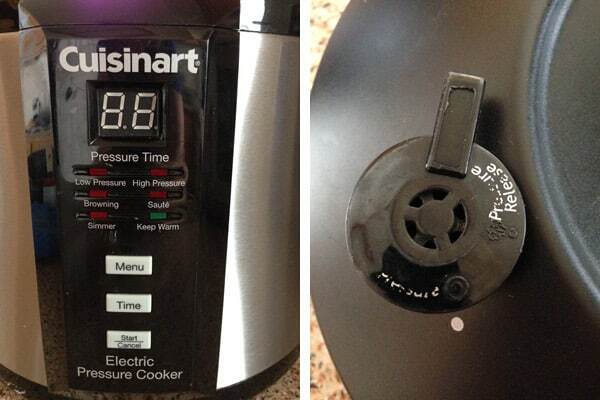 Using a Cuisinart pressure cooker is easy, thanks to this video tutorial! In the video, you will find information on the Cuisinart electric pressure cooker, plus tips that apply to many other makes and models of multicookers. Learn everything you need to know about electric pressure cookers here! Recently I taught a class on pressure cooking and the people who attended said it was really helpful to ease their fear of pressure cooking. I have lots of my friends, family, and readers who have asked Santa to put a Cuisinart Pressure Cooker under their tree this Christmas. Since I can’t be there in person to help everyone get started using their pressure cooker, I made this video tutorial, sharing the basics of using an electric Cuisinart Pressure Cooker. 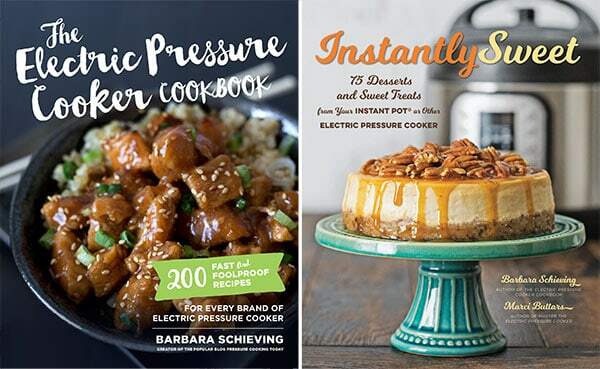 If you get an electric pressure cooker or multicooker as a gift, join my electric presssure cooker Facebook group to get great recipes to make in it! It’s my first video using an electric pressure cooker, and if everyone finds it useful, I’ll make more. Here’s a close up of the front panel and the pressure control value since the lighting in the video makes it difficult to see them. You can see my pressure cooker has been put to good use. 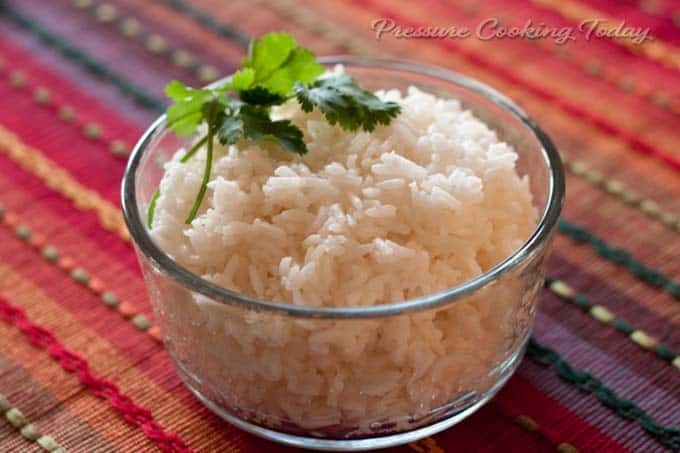 I made a couple of mistakes in the video when I was explaining the recipe, so be sure and visit my Pressure Cooker White Rice post for the recipe and additional info about cooking rice in the pressure cooker. Question: I always have a hard time putting the lid on and getting it to lock. What’s the Secret? Answer: Look for the little step down around the outside of the pressure cooker. You put the lid on at the back of the little step, then twist it forward to the front of the little step. Here are some pictures that may help. Hi Joe – you shouldn’t remove the wire inside the valve. I would contact customer service tomorrow https://www.cuisinart.com/support/and ask them about re-installing it or replacing the valve. I’ve used my Cuisinart pressure cooker several times before, all successfully. But tonight after sautéing I put the pork cuts in as the recipe suggested, tossed in some vegetables being careful not to get past the 3/4 full mark, I pressed menu, went to high pressure, dialed in 10 minutes and pressed start. After about 5 minutes it stopped and went directly to Keep Warm. Any idea why? Hi Joe – did you use anything that had flour or other thickeners in it? Often it will settle on the bottom and prevent the pressure cooker from coming to pressure. Can I use IP recipes/book to cook in my cuisinart PC Thank you. It is so hard finding electric PC cookbooks. 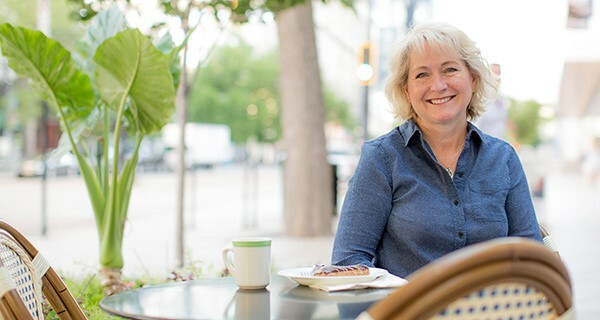 Hi Jo Ann – yes, all the IP recipes and cookbooks will work great in your Cuisinart. I actually prefer the buttons on the Cuisinart. If it says to use a meat or soup setting, just cook on high pressure for the time indicated. Have fun! Hi Cassandra – I updated the post with some advice and pictures and the end. Have fun! I make an Italian Sausage Vegetable soup in my crock pot that takes 7 – 8 hours on low. How long would I cook it in a pressure cooker? And, can I make it in a pressure cooker? Just thought some days I want it and it is too late to start it. Thanks for any help! Soups are perfect for cooking in the pressure cooker. It really depends on what ingredients are in the soup. If it’s just sausage and vegetables. Just brown the sausage, then make it similar to this minestrone recipe http://www.pressurecookingtoday.com/2012/10/pressure-cooker-minstrone-soup-with-basil-pesto/. Super quick and easy. Thank you, Bryden! I will try that next time! Appreciate the help, I have never used a pressure cooker and it is a little scary at first. But, the “baked” potatoes were delicious and the eggs tasted great, so now on to meat dishes! I know this is probably addressed somewhere, but I can’t find it. (get interrupted a lot). But, when a recipe says use the Natural Pressure release, do you turn it off and unplug or leave it on Keep Warm? Love the “baked” potatoes, they are just like out of the oven! Now, for the hard boiled eggs. 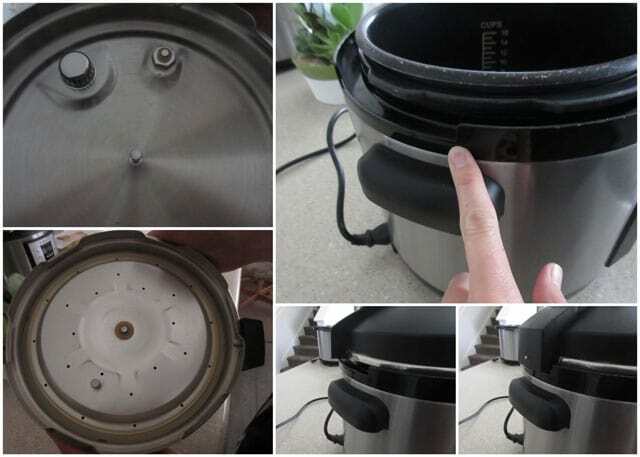 Is a non-scratch steamer basket alright in a pressure cooker? I think it is silicone, but not sure. It is sturdy and nice, thought maybe it wouldn’t scratch the interior. It has little feet on the bottom, so do you put it on the trivet or just use it alone in the bottom of the cooker? Sorry for all the questions, but I want to get it right and am starting to actually enjoy using this! Thank you for your time! I have two different steamer baskets. The silicone one in this post http://www.pressurecookingtoday.com/2012/10/chucky-potato-cheese-soup/ and the metal one in this post http://www.pressurecookingtoday.com/2013/03/hard-boiled-eggs-for-easter-in-the-pressure-cooker/. I prefer the metal one and haven’t noticed a problem with it scratching the sides. The silicone one fits too tightly and it hard to get out of the pressure cooker. For a natural release turn off the cooker. You don’t necessarily have to unplug it, but I often do both. It will also natural pressure release on the keep warm setting, it will just take longer. So glad you’re starting to have fun with it. Thank you for your quick reply! I may take this back then and look for a metal one. This one says it is for non-stick cookware, but don’t want to have trouble getting it out! Hard boiled eggs – I do mine for 4 minutes – and do the quick release and put them into chilled water to speed up the cooling down process…. I just made the Pumpkin Chocolate Chip Bundt Cake and I wondered how in the world do you all get the pan out of the pressure cooker while it is so hot? I bought a 6 cup bundt pan and it fits in mine rather tight and I had a hard time getting it out. The cake itself, looks very good, though, and smells wonderful. Just don’t like to get burned trying to get it out of the pot. If you have any good ways to do that, let me know. Thank you! I just stuck some tongs in the middle of the bundt pan and pulled it up. You can also create a foil sling and put it around the pan before you cook it next time for easy removal. Enjoy! Well, I made white rice today in my new pressure cooker. It was okay, some of it was a little crunchy, not much, still edible. I did the amount of time and water and rice that you said to use. I don’t know if I will keep this or not. May return it, I have several slow cookers and a rice cooker. Love both of those, maybe a pressure cooker is just not for me. Oh don’t give up after just one try….. I simply love my digital pressure cooker and use it even if not for actual pressure cooking – love it as a frypan, with the deep sides you don’t get the splatter like you do on a usual frying pan…. also you can set the temperature and forget about it. 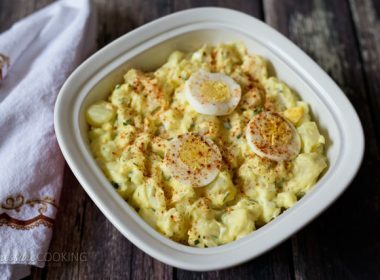 I do hardboiled eggs in mine – cook them for 4 minutes – perfect…. and doesn’t matter how many you are cooking. I bought a second inner bowl for mine – so I can cook a couple of things and don’t have to wash the pot out in between…. Nancy I agree with Bryden, you shouldn’t give up after one try. 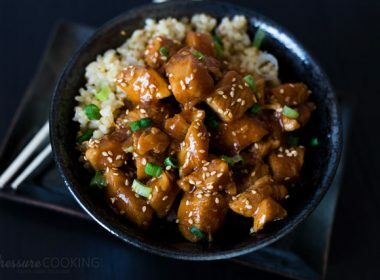 If the rice wasn’t as soft as you like it, you can steam it longer before opening the pressure cooker, add one minute more to the cook time, or a bit more water. I’m sure there’s been times when you want to cook a slow cooker recipe but forgot to start it in the morning. That would be the perfect time to use your pressure cooker. I just bought my first pressure cooker — the Cuisinart! I don’t know what to do with it, but really need recipes and how to use it!! It is a beautiful thing! But, I am almost afraid to use it. What would be good to make first? I had a friend once who made porcupine meatballs that were really good. Maybe I should just try rice or beans. I got this because you loved yours so much, so hope I love it as much, too!! Hi Nancy – I’m so excited for you. No need to be afraid, after using it a few times you’ll have the hang of it. White rice is the perfect thing to cook first. Here’s a link to a Porcupine Meatballs guest post. http://www.pressurecookingtoday.com/2012/11/porcupine-meatballs-and-orange-gravy/ Be sure and reduce the amount of soup. I’m working on a post for Wednesday of easy recipes for first time pressure cookers. Have fun! Thank you, I will try the white rice. Can’t wait till Wednesday to see the recipes for beginners. That will be great. Love your site, it is full of great recipes. I have been reading the instruction book this afternoon trying to learn all I can before operating it. Guess just dive in and try the rice. Love rice and want to try some Great Northern beans, too. Thank you for being there and helping the new people!! I have never used a pressure cooker before, usually use a crock pot. Pressure cookers seem hard to me because you can’t tell if they are under cooking the food or over cooking it. The lids seem hard to get off, too. But, that Cuisinart sure is beautiful. I am trying to decide if I would use it enough before I spend the money on one. The electric pressure cookers have the same set it and forget ease that you get with the crock pot. 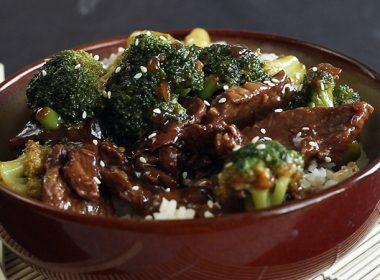 In fact, most crock pot recipes make great pressure cooking recipes. Under cooking food is not a problem. You just lock the lid in place and cook it for a few more minutes. In the future you’ll just buy one appliance that slow cooks, pressure cooks, is a rice cooker and so much more. Hi Nancy, just jump in and get it, really. I had never used a pressure cooker before either and I don’t know what I would do without this one. I use it a lot and it’s really so easy to use. 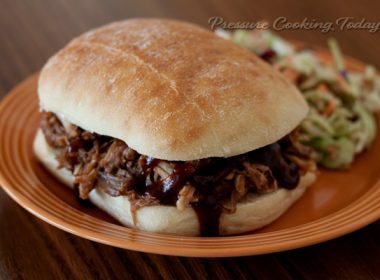 While I have used mine mostly for soups, I have made pulled pork in it and it is so tender and delicious. These machines are wonderful just for the fact that you can have something like this (recipe) done in a fraction of the time that it would take to make in the traditional way. I hope you get one, you’ll really enjoy it. Thank you, Cindy. I did buy the Cuisinart electric pressure cooker and love it! I was always afraid of pressure cookers, but this one is so easy to use, I just love it. So far, everything has turned out just like it is supposed to. Need to try some meat dishes that my husband would like. They are fast, aren’t they? Can’t believe the food is done in such a short time!! Glad I took the plunge!! When my Tefal was in for repair (after many years use) I bought another one as I hated being without it. Loved this video! 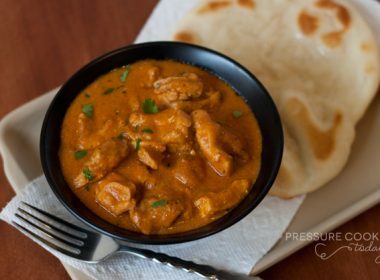 I am new to pressure cooking and liked seeing it in action and your explanations. May buy this one you have because I am afraid of pressure cooker blow ups!! The video was good but the lighting was awful – could not see the controls, not the pressure valve on the lid. Hi Bryden – glad you liked the video. I’ll work on the lighting for next time. Bryden – I added a couple of pictures so you can see the controls and the valve. these are foods that I eat on a regular basis. Additionally, your site is very easy to navigate. Thanks Maria! So glad you’re enjoying my recipes and my site. BLESS YOU! I just got the Cuisinart EPC1200 pressure cooker last weekend-a Merry Christmas TO ME-and this video is going to be SO helpful for me, Barbara. I ‘m used to using a stove top pressure cooker…and still have my ups and downs with that one…..the electric one is a new avenue for me. I haven’t had the time to read through the book-just got as far as what piece does what and how to set it up. Your video made a couple things a lot clearer for me. I’m one that does better watching than reading so I’ll be coming back to double check if I’m doing things right when I make my first batch of rice. Thanks Carol – I know you’re going to love it.